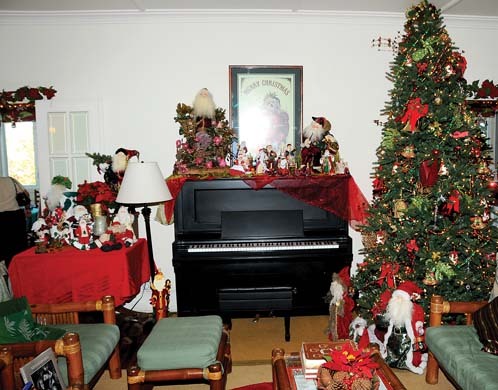 The Old Wailuku Inn at Ulupono will be decorated for an open house tour from 1 to 4 p.m. Saturday. The event, called Lei of Aloha 12, is a benefit for Hokulani Holt’s halau hula, Pa‘u O Hi‘iaka. Tickets are $40. 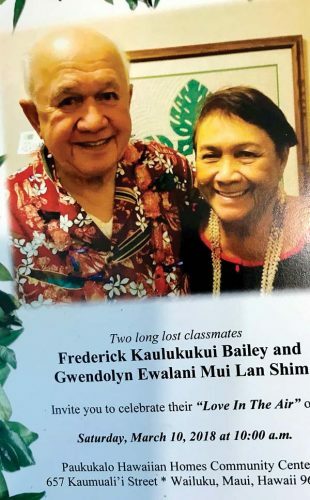 Lei of Aloha 12 will take place at The Old Wailuku Inn at Ulupono from 1 to 4 p.m. Saturday. The open house tour of the award-winning, historic bed-and-breakfast inn is a benefit for Hokulani Holt’s halau hula, Pa’u O Hi’iaka. Tickets are $40. The day also features music, hula, poetry readings, light snacks and beverages, and A Hawaiian Country Store with gift items for purchase. The contemporary Hawaiian musical trio Ahumanu will release its new CD, “Kahi Aloha,” at the event. For tickets, contact (808) 264-1820 or shoopiicool@gmail.com. Pukalani Community Association’s Christmas Fair and Electric Golf Cart Parade will take place from 3 to 7 p.m. Dec. 15 at the Pukalani Country Club, located at the end of Pukalani Street. Organizers are seeking cart decorators to help with the electric golf cart parade. Cart entry is $50 and carts are provided by the Pukalani Country Club. The event will feature a crafts and gifts fair, food, activities for children, a cookie baking contest hosted by Lala Sweets, entertainment and, once darkness decends, the electric golf carts, decorated by community members and businesses, will begin to proceed down the ninth fairway parade route. A special visit by Santa will highlight the parade. Tickets will be sold at the event and are $2 per person with free admission for children under 12. Funds raised will support programs at Pukalani Elementary School and King Kekaulike High School. Participants are advised to bring blankets and beach chairs. For information on how to participate in the event, email donnajclayton@hawaii.rr.com. A “Pint Night for the Birds Benefit” will be held from 6 to 10 p.m. Friday at the Maui Brewing Co. in the Kahana Gateway Shopping Center. 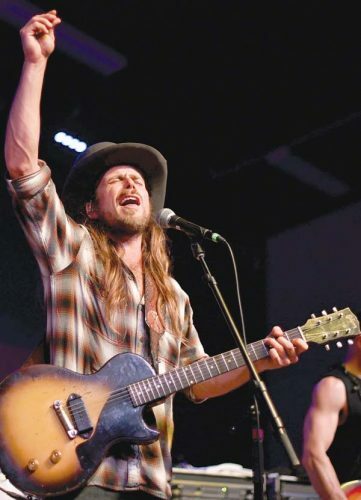 Half of the pub profits from house beers sold that night will go toward protecting native birds on Maui, as part of the Maui Forest Bird Recovery Project. The organization reminds attendees to drink responsibly and have a designated driver. Maui AIDS Foundation will recognize World AIDS Day 2018 at 3 p.m. Saturday at Iao United Church of Christ, 2371 W. Vineyard St. in Wailuku. Parking is free, and appetizers and refreshments will be provided. This year marks the 30th anniversary of World AIDS Day (#WAD2018), which takes place on the first day of December each year worldwide. The day is recognized as the first-ever global health day for people to unite in the fight against HIV, to show support for people living with HIV and to commemorate those who have died from AIDS-related illnesses. Established in 1987 as Maui County’s only AIDS service organization, Maui AIDS Foundation provides services for individuals living with HIV/AIDS along with outreach, education and screening for local communities at risk for HIV and other sexually transmitted infections. For more information on World AIDS Day and Maui AIDS Foundation, visit www.MauiAIDS.org. The Harvard Club of Maui will have its annual meeting at 5 p.m. Saturday at the mauka pavilion of the Wailea Point condominiums, 4000 Wailea Alanui Drive. All existing and prospective members are invited. Contact club President Maury Davenport at mauryd221@msn.com for details and to RSVP. The Haiku Community Association will hold its last meeting of 2018 from 6:30 to 8 p.m. Wednesday at the Haiku Community Center. Doors will open at 6. The meeting theme is “What’s Up in Haiku? What’s in the Pipeline?” and will feature updates on local infrastructure and community projects from state and county officials and local community members. Representatives from county Public Works, Maui Police and Fire departments, state Department of Education and the newly elected County Council member have all been invited to present updates and answer community questions. Hamakualoa Aha Moku Council will also offer updates, and focus areas will be chosen for Haiku’s 2019 Community Mapping project. HCA will also have a table of brand-new Haiku logo wear for sale and sneak preview of the silent auction items that will be featured at the Dec. 4 HCA benefit night at Flatbread Co. in Paia. Flatbread will provide free pizza for attendees at Wednesday’s meeting and other potluck pupu is welcome. All who attend are asked to bring nonperishable food donations for the Maui Food Bank. For more information, visit haikumaui.org. Makawao Hongwanji Mission will present its annual winter garage sale from 7 a.m. to 2 p.m. Saturday at 1074 Makawao Ave.
More than 3,000 square feet of items will be offered for sale. Items include furniture, antiques, dishes, books, small appliances, crafts and clothes. There will also be food, plants and a country store. 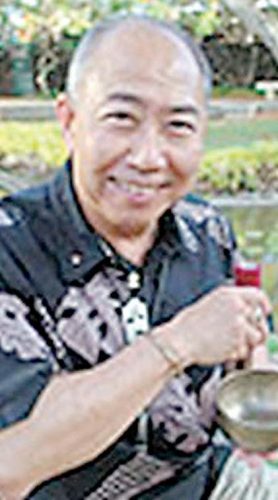 Japanese Cultural Society of Maui President Deron Furukawa has announced that nominations are being sought for the prestigous Nihon Bunka Award, which is given to individuals in the community who have dedicated their lives to helping perpetuate the Japanese culture or those who have shown excellence and contributions to the Japanese arts and/or culture and for their selflessness in sharing their talents with the community. To nominate someone, visit jcsmaui.org/nihonbunka/ to complete a form online. Deadline for nominations is Dec.15. For more information, contact Lynn Araki-Regan at 280-1299 or arakiregan@gmail.com. 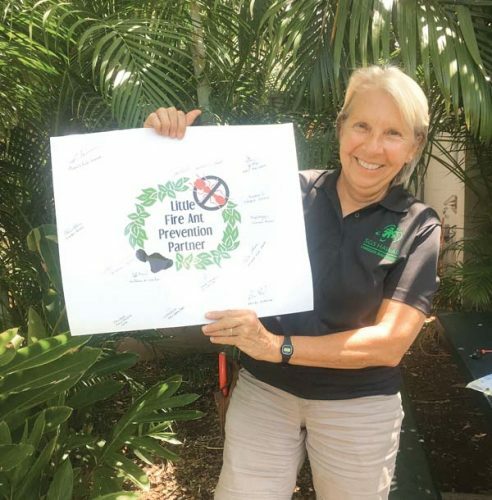 Individuals, businesses and civic groups are needed to spruce up Hawaii Nature Center’s Maui campus that includes site beautification, landscaping and light construction projects. The volunteer work takes place on the first Saturday of every month. Next date is Saturday from 9 a.m. to noon at 875 Iao Valley Road in Wailuku. To support this service day, contact Kapua@HawaiiNatureCenter.org for details. RSVP is required. HNC on Maui also seeks donation of the following supplies: Badger sunscreen, dish towels, forever postage stamps, folding tables and chairs, insect repellent, walkie-talkies, waterproof cameras and a wheelbarrow. Contact Jeeyun@HawaiiNatureCenter.org to coordinate drop-off of donations. The Friends of Haleakala National Park invites the public to join its members to talk story and enjoy a cold brew at the Kohola Brewery, a local craft microbrewery at 910 Honoapiilani Highway in Lahaina, from 6 to 8 p.m. Wednesday. Drinks and food are available for purchase from the brewery and the Ono Taco food truck. More information about the Friends of Haleakala National Park and its service trip schedule can be found at www.fhnp.org. The Rotary Club of Kahului will welcome Elaine Slavinsky to its weekly meeting from noon to 1 p.m. Monday at Tante’s Island Cuisine in the Maui Seaside Hotel in Kahului. Slavinsky’s talk is titled “Maintain Your Brain.”î She is a hospital discharge planner and a lecturer at the University of Hawaii Maui College. She was the Maui program director for Alzheimer’s Association, clinical director for Hospice Maui, and director of nursing at the Maui Memorial Medical Center. The Italian American Social Club of Kihei will have its last monthly potluck meeting for 2018 at 6 p.m. Tuesday in the St. Theresa Hall at 25 Lipoa St., Kihei. As always, members are encouraged to provide a salad, main dish, or a dessert to share with the group. Maui Waena Intermediate School’s STEMworks AFTERschool Program is hosting a hands-on learning event for the public on science, technology, engineering and math on Saturday. The STEM Exploration Day runs from 8 a.m. to noon inside room 0-101. The event is open to everyone ages 4 and older. Families may take their photo for Christmas and greeting cards, and even design their own border and background. Visitors also may explore the school’s digital playground and take classes in video production, animation, coding, Photoshop and game design. Food and drinks will be available for purchase and a $5 recommended donation is requested. Snow globes and thermogenic slime also can be created and purchased. For more information, call Jennifer Suzuki at (808) 385-2942 or email mwis.suzuki@gmail.com.